I love good beer, and it’s even better when it’s local. 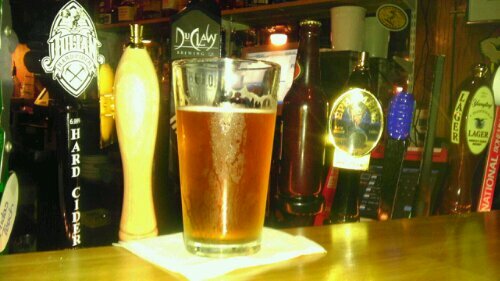 Tbonz had a great selection if beer, but their own 33rd street ale is where I find myself tonight. I just got done working on the new header in the color scheme. I think it looks pretty good, but this is just a start. I hope to clean it up and make it look better later. The forum is up and ready. You can find the forum at forum.indybeers.com. It’s plain-Jane for the moment, but we’ll be adding specific sections and a theme later. Feel free to register and be one of the first to post!! !